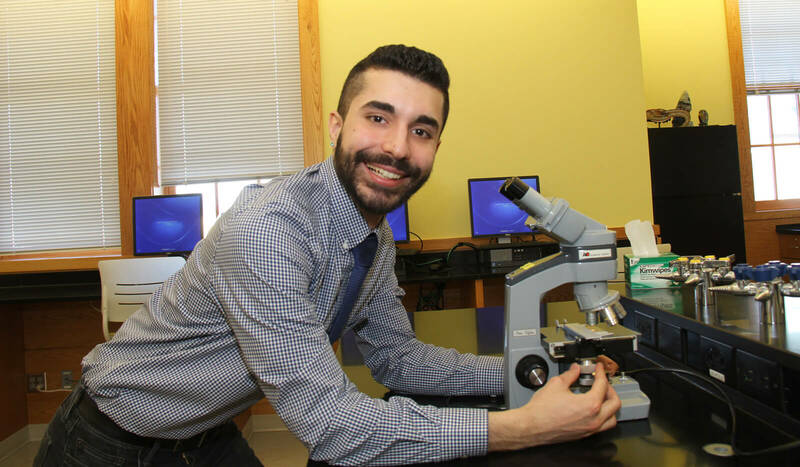 John-Marc Austin ’17, biology and psychology double major and a bioethics minor, has been accepted into the program at the University of Massachusetts Medical School, which only accepts 3.5% of applicants. 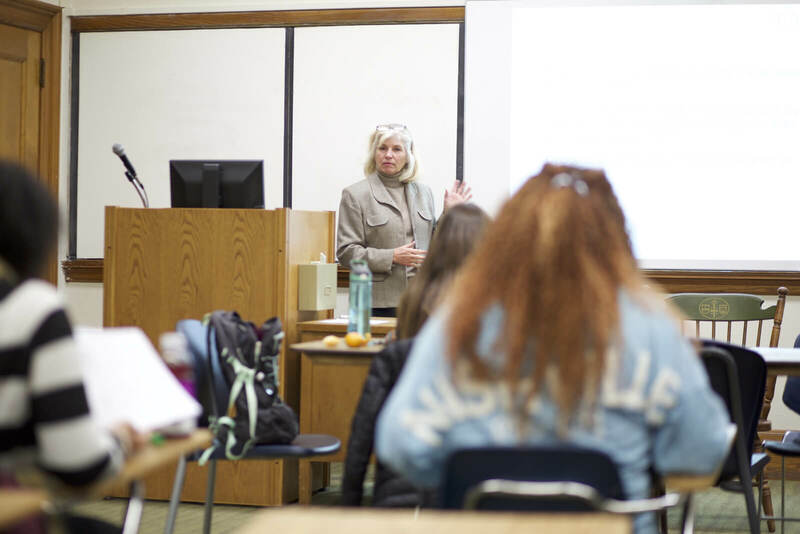 Our pre-health/pre-medicine program offers one-on-one advising with professor Janet Williams, Ph.D., who helps you develop strategies to prepare you for further study. You can participate in faculty research projects and become involved with volunteer, mentorship, and leadership programs. You can find Elms pre-health/pre-medicine students continuing their studies after graduation at prestigious schools such as Tufts University College of Veterinary Medicine, the University of Chicago School of Medicine, Philadelphia College of Osteopathic Medicine, and Creighton University School of Medicine, among others. The Elms College pre-professional program prepares students to matriculate to professional health programs. We offer discounted rates for standardized test preparation for medical school (MCAT), dental school (DAT), optometry school (OAT), pharmacy school (PCAT), and veterinary, PA, PT, OT, chiropractic, and other graduate schools (GRE). Elms College offers an onsite MCAT preparation course every spring (January through April). , the premedical advisor, for more information. Premed students who have completed the requirements set out by Marywood University’s PA program are eligible to apply to the program for an interview. A recommendation letter of endorsement from the Elms College premedical advisor is required. 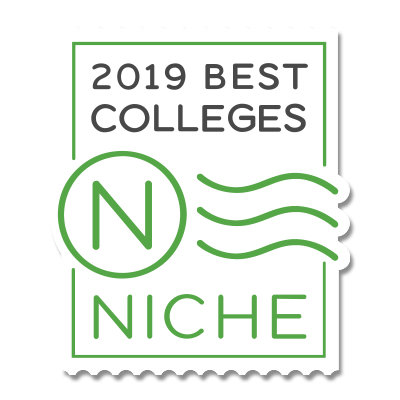 Premed students are also eligible to apply to the early acceptance program at the Lake Erie College of Osteopathic Medicine (LECOM), the Lake Erie College of Dental Medicine (LECOM), and the Lake Erie College of Pharmacy (LECOM). Eligible students can schedule an interview with a LECOM admission committee to fast-track their entry into the program of their choosing. Elms College is also affiliated with the Western New England University Pharm.D. program, which gives premed students the option to continue their graduate education in Western Massachusetts.